Do you suffer from that ‘Monday morning feeling’? I don’t. My week usually starts with a feeling of invincibility, of being able to tackle anything that the week chooses to throw at me, of bring it on, let’s get going, and perhaps a touch of self-righteousness. 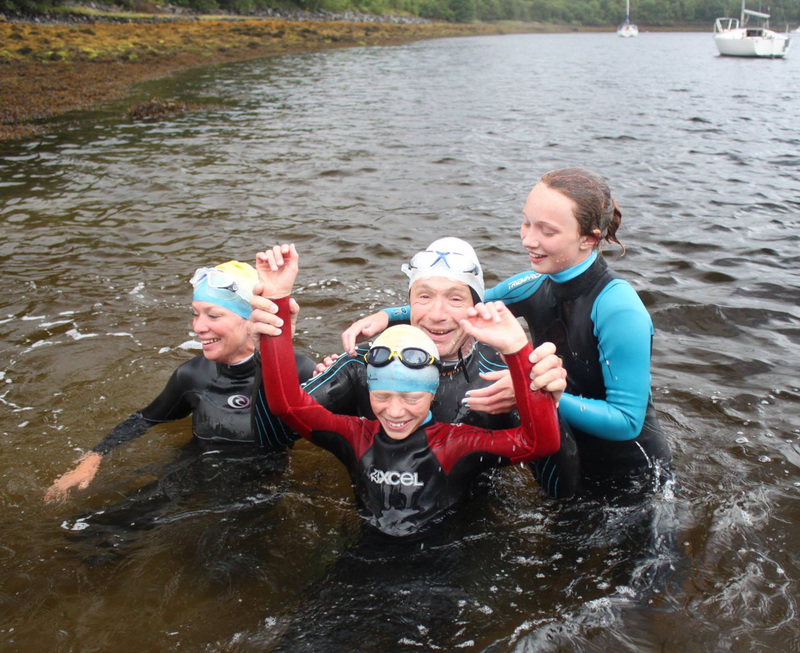 That’s what a mile and a half of swimming in a sea loch while everyone else is hitting the snooze button does for you. 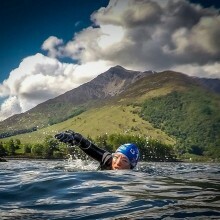 Speak to any of the ever- growing number of people taking up the sport that is Open Water Swimming and they’ll tell you that there’s something quite invigorating about taking to the water, whether it’s a refreshingly chilly Scottish sea loch, or perhaps a much milder bit of fresh inland water. But that shouldn’t come as a surprise really. Swimming is known to be an inclusive, low impact, aerobic exercise providing conditioning for the entire body. Add some fresh air in the great outdoors , and perhaps some slightly chilly water, and you can’t help but be recharged and ready to take on the world. There is a price that you pay, however, and that is people tend to think that you’re actually quite mad, or in case of mid-winter, totally bonkers. 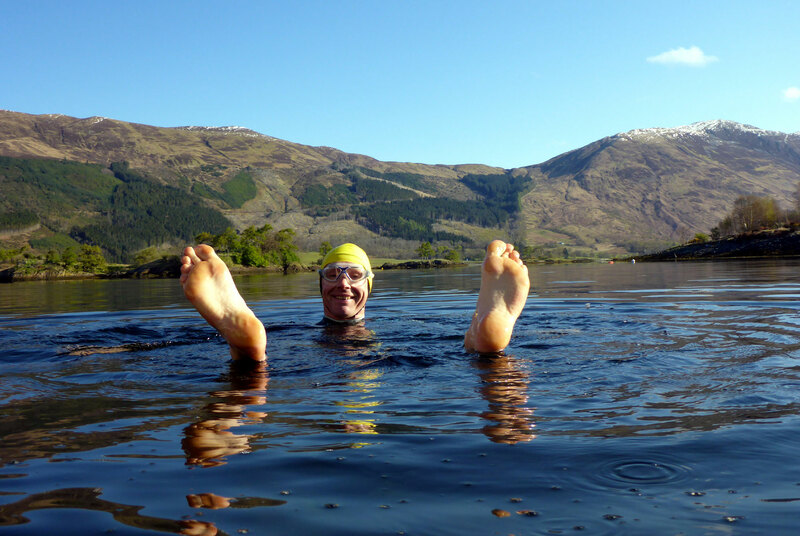 For the uninitiated, the idea of taking a dip in a freezing cold sea loch at the crack of dawn is a little difficult to comprehend. I can’t understand why. Let’s rewind a bit. It hasn’t always been this way. True, I’ve lived in Glencoe pretty much all my adult life. I’ve always enjoyed a challenge, and the more physical the better. Like so many who choose to live here I’ve biked, climbed, rescued, skied, run, biked, kayaked and biked some more. Did I mention biked? I like biking. However, swimming seemed to have passed me by. It’s not that I couldn’t swim. In fact at the age of 10 I was banging out the lengths in the pool under the supervision of a Commonwealth team swimmer. It’s just that since then my swimming has been a little more recreational. You know the sort of thing. 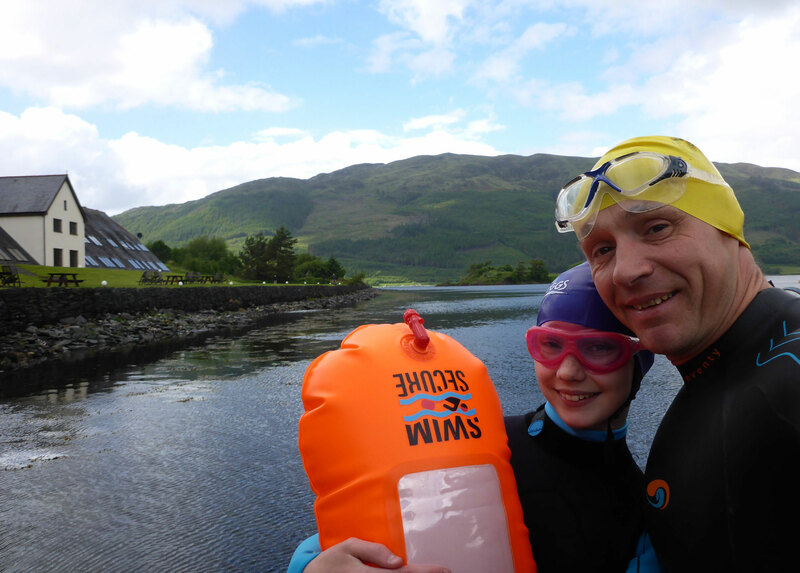 Top bombies in the pool, a few lengths encouraging the kids to enjoy the water too (it worked – my daughter is now a Lochaber Swim Team member), and even a stint as a PADI diver. No, it’s just that swimming any sort of distance just wasn’t going to happen. And it’s not that I didn’t try. As winter approached I’d make a commitment to swim regularly at the pool. All would be fine for a week or two, but the monotony of endless lengths looking at the black line on the bottom of the pool, the oppressive heat, the chlorine… It never lasted long. That’s how it was until 18 months ago. Not that it seemed like a great loss. It’s not like I wasn’t busy with so many other things to keep me out and about in the Highland scenery. 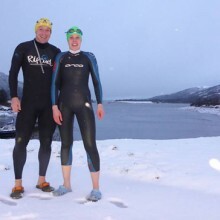 However, there was just a hint of regret, of having let something beat me, of missing out when training buddies were talking of triathlons which as we all know start with a swim, usually in a lake or loch. Jump to the present day, just shy of the end of the half year at the end of June, and I’ve notched up 90 miles of swimming in 2016, most of it outdoors. How on earth did that happen? Well, the short answer is that I met someone mad enough to say yes when I suggested going for a swim. Let’s call that person Astrid. 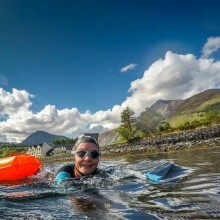 Astrid had some previous experience of open water swimming and the brave chat quickly moved on to a challenge along the lines of the usual ‘I will if you will’. Now in most cases I’d pretty much expect this type of bravado to end in a pathetic excuse and all would be soon forgotten, especially was it was December. And we were talking about Loch Leven. And it was cold. But I hadn’t bargained on Astrid being slightly more unhinged than me. Before I knew it there were clandestine meets in the rising mist as the daylight sneaked in on a winter’s morning on the Scottish west coast when the weather was more conducive to throwing another log on the stove and serving an extra large bowl of porridge. I wouldn’t say that it was easy. I would, however, say that it was instantly addictive. Return to the beginning again, the bit about that feeling of invincibility, and feeling just a tad self-righteous. And of others thinking that you’re off your rocker. I was hooked! Exercise makes you feel good anyway. Exercise gets the endorphins flowing. Doing something slightly risky peps you up too. That sense of something a little bit more dangerous gets the adrenalin pumping. But quite away from exercise induced endorphins and fear induced adrenalin I’d have to say that the real buzz simply comes from a feeling of great calmness, of being immersed in the natural world shut off from all the reality of the outside world while steady strokes just let you cruise along to your destination. When the world you’re in is just you and the starfish,worrying about whether we’re in or out of the EU seems to become an irrelevance. Still unconvinced? You simply have to try it and work it out for yourself. 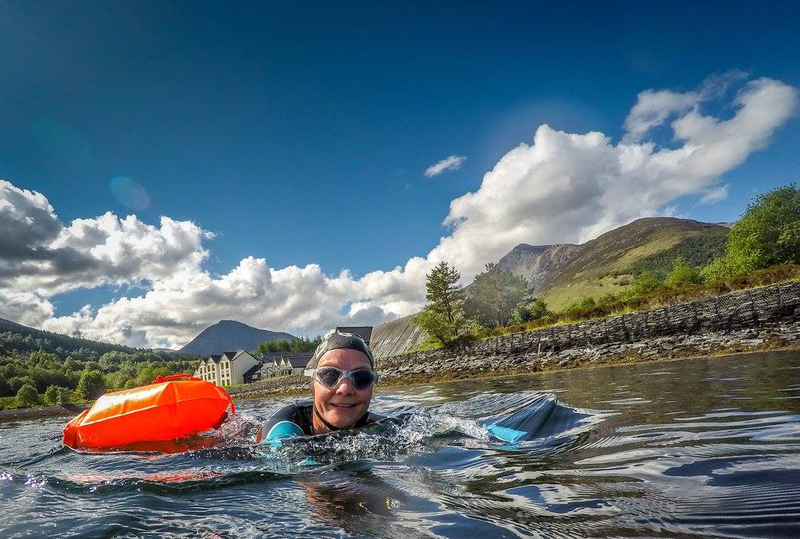 If you don’t have an Astrid in your life, and personally I think everyone should, then getting into outdoor swimming can be a little daunting. 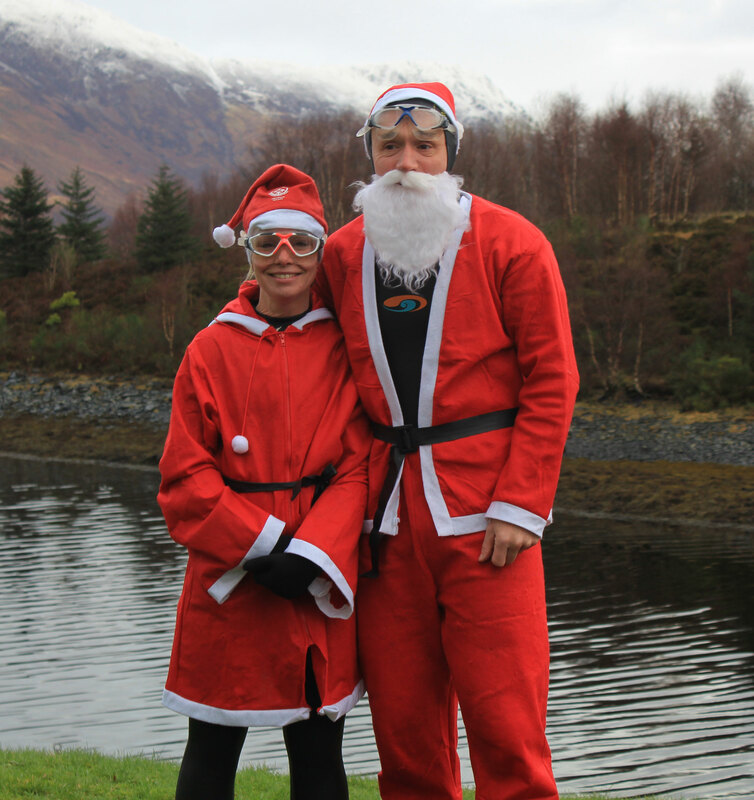 That’s why I’ve put my money where my mouth is and have sponsored the Glencoe Open Water Swim. 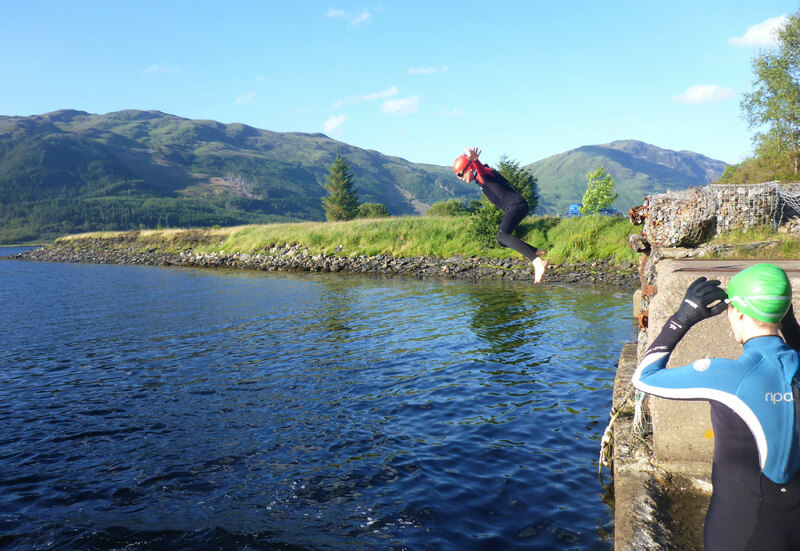 The event is based on the shores of Loch Leven at Ballachuish and takes place on Saturday 13th August. 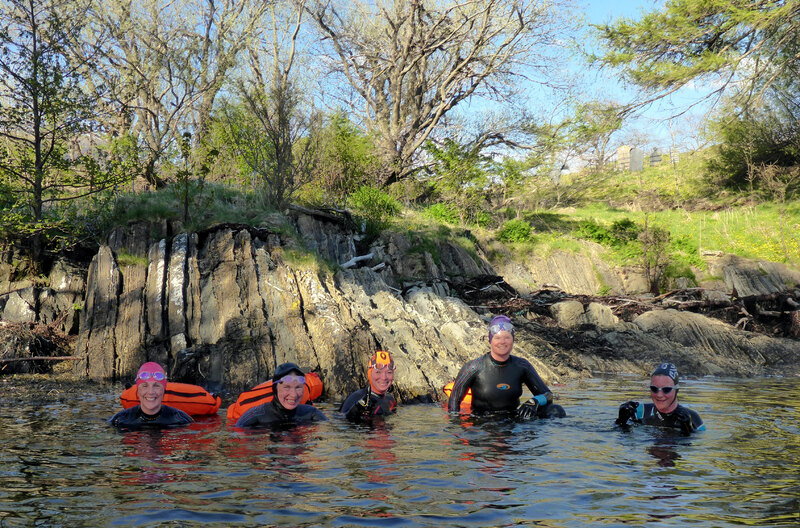 There are longer distances for those with a little more experience, but it’s the give-it-a-go attitude, even if it’s only a splash that appeals. 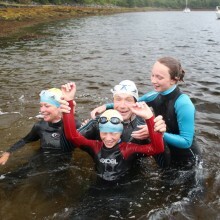 For us it was a family event last year as all four of us took the plunge, and great fun it was too, despite the weather. 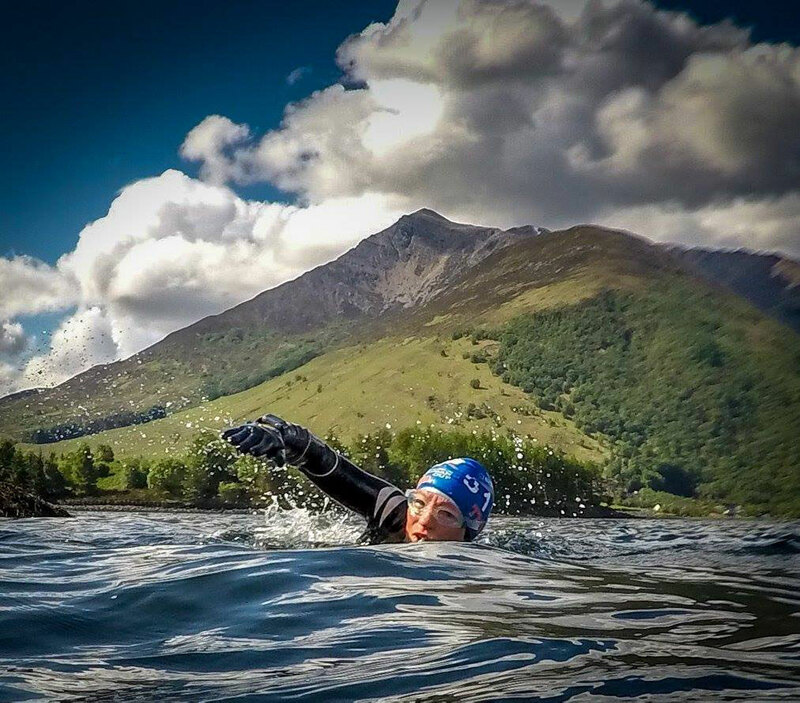 In fact, open water swimming does kind of suit the Glencoe rain – you know you’re going to get wet anyway! 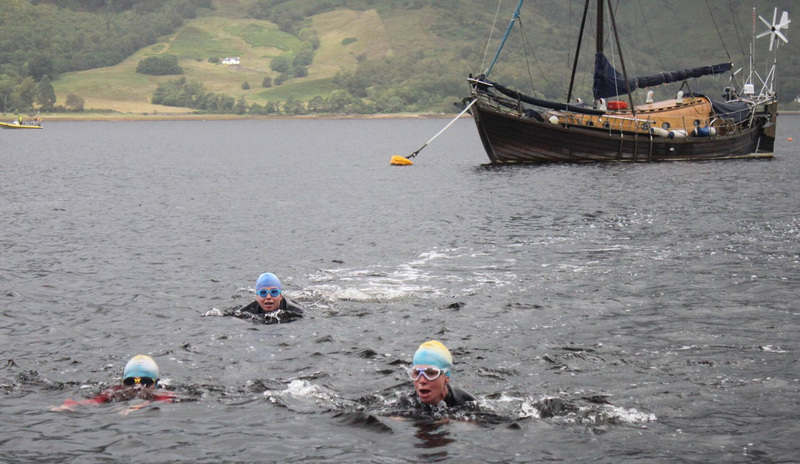 The proof that it works, and that you’ll be hooked once you give it a go, is the formation of the Loch Leven Open Water Swimmers following last year’s Glencoe Swim. 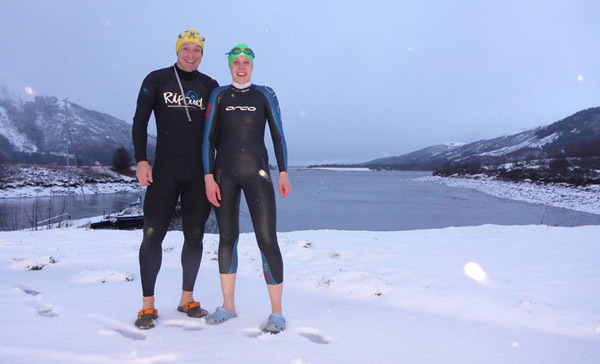 Not only do they meet regularly for a dip in the loch, they did so right the way through the winter months when the water temperature was regularly less than 5 degrees and dropped to a little over 3. The colloquial expression for that is “braw”! So that’s Open Water Swimming. See you on 13th August with your towel then?